Does you rig have that "Wicked" style, yet, you are still looking for that one-of-a-kind accessory to top it off? 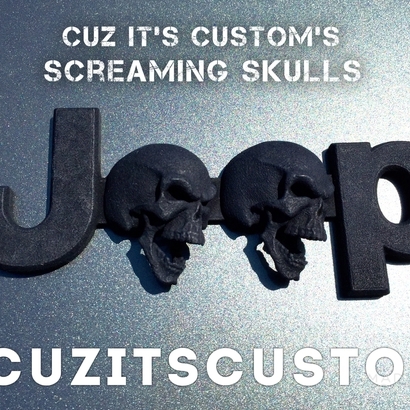 Our 3D Printed, Cuz it's Custom's Wicked Skulls Emblem for Jeeps fit in place of the OEM “Jeep” emblem on your Jeep (http://designed around the Wrangler JK). 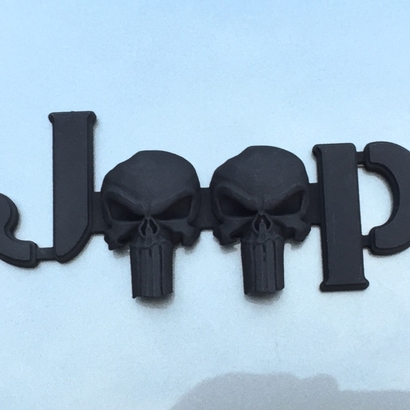 These emblems replace the EE in Jeep with hand sculpted detailed Wicked Skulls replacing the "e's"! Please note that these are made to order and 100% custom. "Cuz it's Custom" products are the sole property of 254 Multimedia LLC and ANY and ALL RIGHTS are reserved by 254 Multimedia LLC. 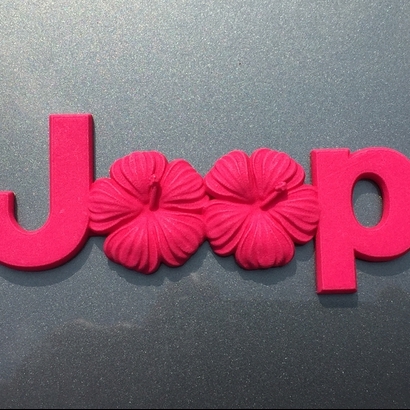 "Cuz it's Custom's" 3D Printed Emblems for "Jeeps" are not affiliated with "Jeep" or FCA US LLC in any way. 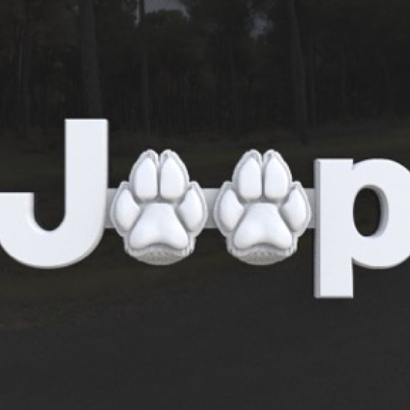 The trademarks, service marks, logos, trade names, and any other proprietary designations of "Jeep" used herein are trademarks or registered trademarks of FCA US LLC. Any other trademarks, service marks and trade names are the trademarks or registered trademarks of their respective parties. 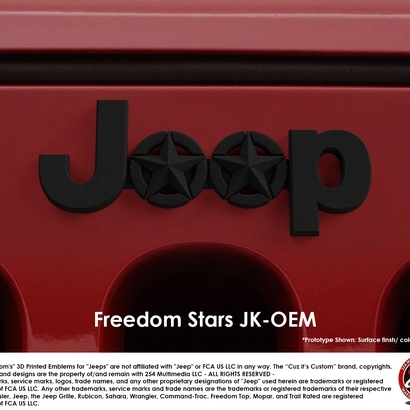 Chrysler, Jeep, the Jeep Grille, Rubicon, Sahara, Wrangler, Command-Trac, Freedom Top, Mopar, and Trail Rated are registered trademarks of FCA US LLC. Welcome to your future 3D printed design! 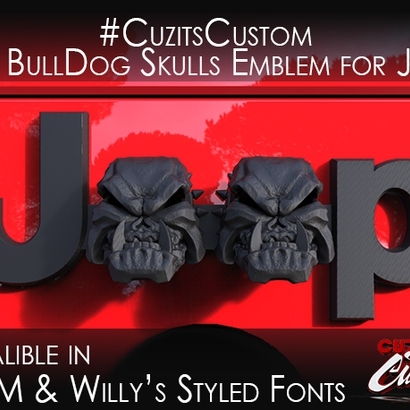 Wicked Skulls (JK OEM) was created and sold by 254MM so you can personalize it, make it your own then use it regularly! Choose among more than seventy five various 3D printing elements to personalize your 3D printing model so it corresponds to your style of living or the wish and way of life of the friend you would like to gift it to. 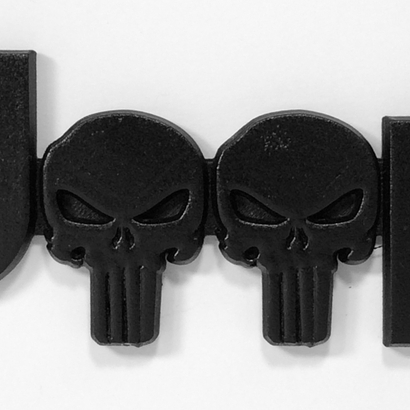 Prefer for among choices the 3D printing material which your desire, the shade that suits your state of mind, the length, height, and width you want your Wicked Skulls (JK OEM) in and you will have it 3D printed very directly. Thanks to the marketplace by Sculpteo, you are able personalize this concept created by 254MM and immediatly get an observation of how the 3D printed item will look like. 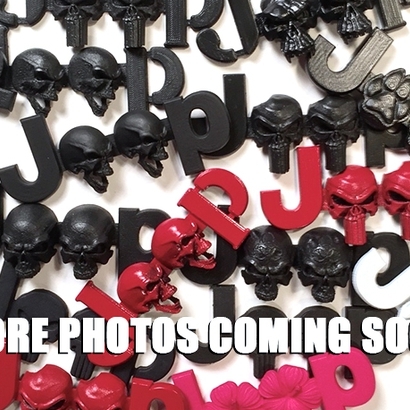 If you happen to be in doubt or aren't a 3D printing expert yet, we'll also deliver you recommendations to optimize your Wicked Skulls (JK OEM) and make the best of the talent 254MM insert in it to create a truly singular and custom-made design. 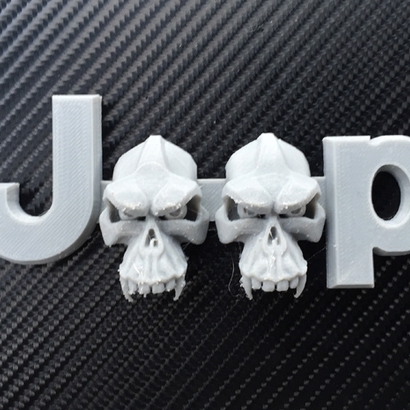 If you want to obtain Wicked Skulls (JK OEM) 3D printed for your own use or for a friend you will let you to follow it until it reaches you. You could adapt the design of this 3D model and personalize bits to really obtain a one of a kind of article, don't wait to add details and make this 3D printing project even more special and fitting your temperament. So if you are in love with Wicked Skulls (JK OEM), don't omit to examine another 3D models imagined by 254MM to make other wonderful 3D printing items.